propelling power to vessels.” The detailed interior description is a pretty good substitute for the interior photo shots we’d expect today. It's also a good example of the prose style of the time, which appears very convoluted to 21st century eyes. 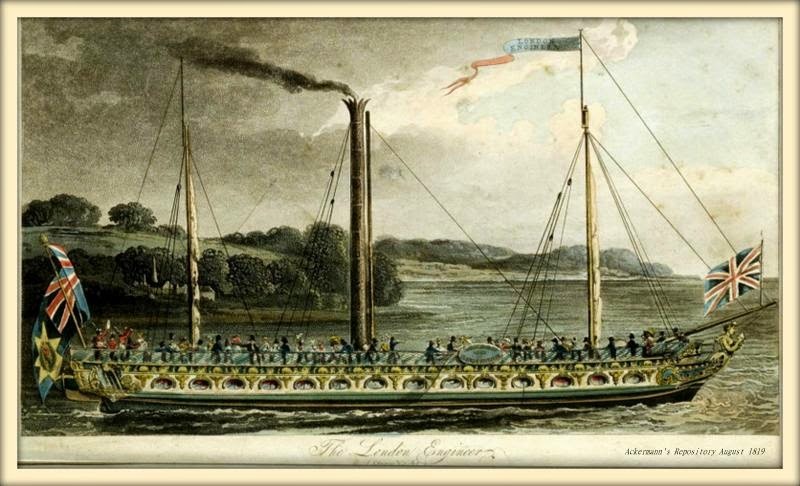 "The Comet" built in Port Glasgow in 1812 was the first commercial steamship in Europe. Many of the early steamships were built on the Clyde. 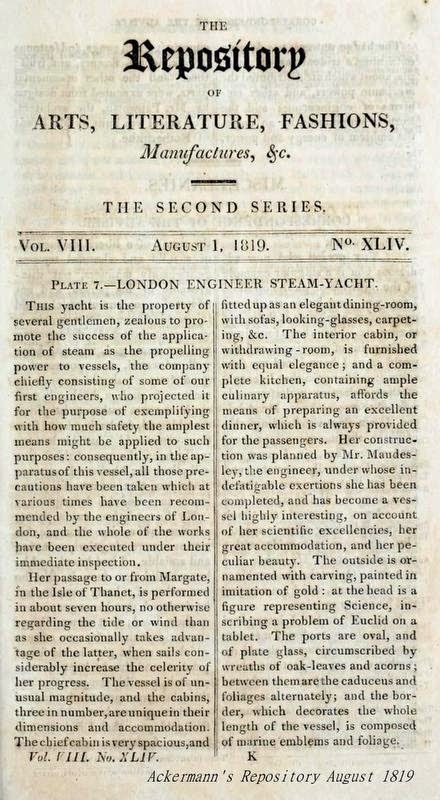 1819 is very early for a steamship. It's very interesting how the article describes it as such a novel conveyance. It wasn't until 1822 that a steamship crossed the Channel to France (at least according to Wikipedia).